Have you seen the Eclipse Cards? 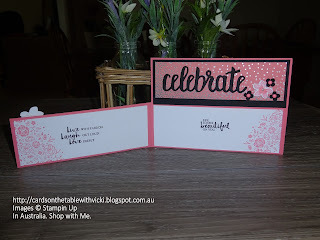 A fun technique I have been wanting to try, when I received my Saleabration - Celebrate You Thinlits, I just had to give it a go. You basically cut out your words/numbers/shapes and raise them up with Foam adhesive strips. 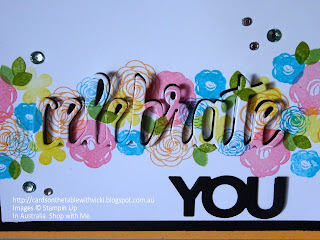 You have a dark colour cardstock layered behind the cut out words to give an eclipse effect. 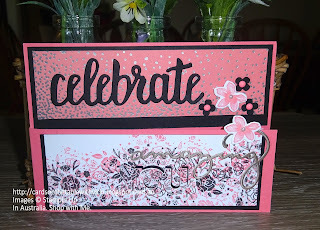 My first try I used Happy Birthday Gorgeous Stamp Set p.77 Main catalogue. 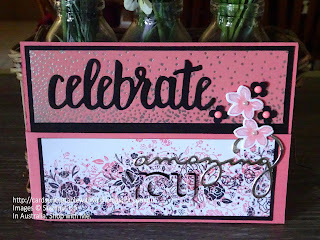 I stamped all the flowers across Whisper White, then cut out the word Celebrate and raised it up with the Foam strips. 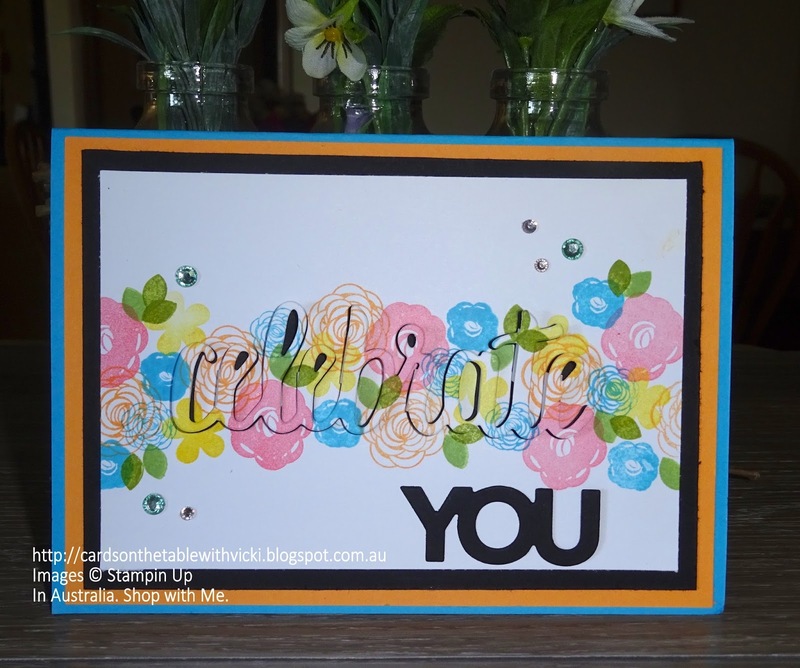 Colours used: Tempting Turquoise, Peekaboo Peach, Flirty Flamingo, Daffodil Delight, Old Olive and Pear Pizzazz. Still playing around with this idea. 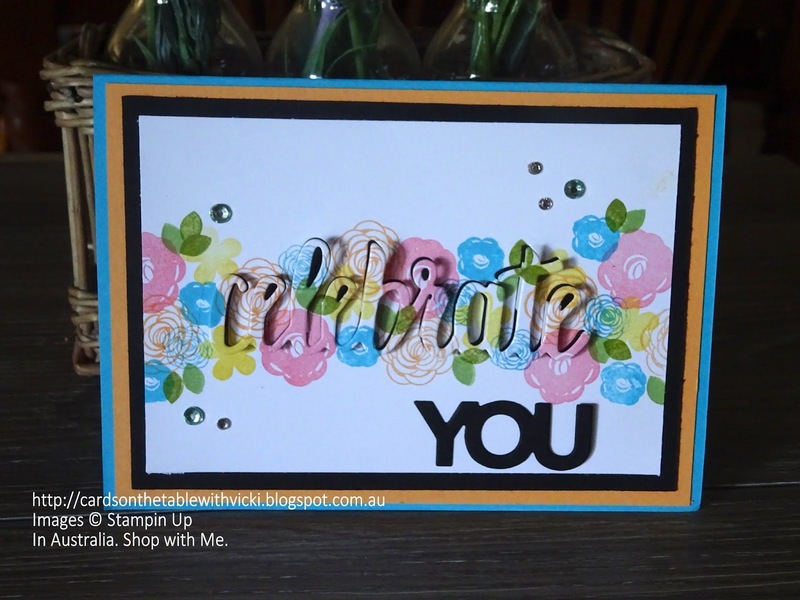 I made a Split Card. 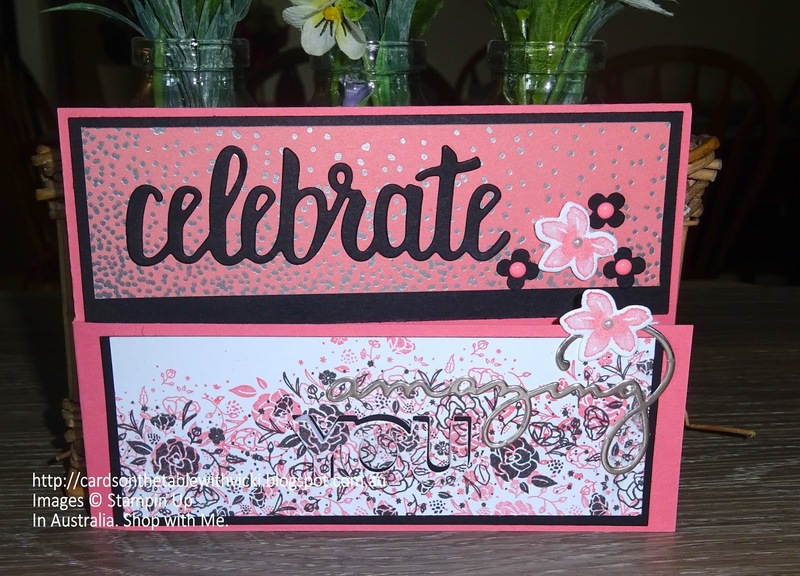 Using Flirty Flamingo, Basic Black and Whisper White. Stamp Set Wood Words p.159 Main Catalogue. Designer Paper Sweet Soiree Specialty Dsp. Beautiful You Stamp Set for inside words. I think the "You" is a bit too camouflaged. But still a very fun technique. Don't think I have quite finished playing with this one. hehe. Maybe you might give it a try too. It would be great as a number card using the large Number dies. And finally a beautiful evening here. Embracing 2018 with Petal Passion and Colour.